One project I am currently involved in is a course on FutureLearn called Blended Learning Essentials. In this short blog post I want to think about how this course, or others like it, can be used as tools for change. This is an open course about using blended learning for vocational education and it runs for a total of 8 weeks in two parts. The first part covers the ‘essentials’ and the second focuses on ’embedding’ blended learning. Content and in particular the videos are created in collaboration with teachers/learners in vocational education contexts and shaped by current practice. If you’d like to see what it’s like for yourself, parts of the course are accessible without signing up: Going beyond reflection to data https://goo.gl/cwGRtQ, collaborative learning to improve learner support https://goo.gl/LwnCnA, sharing and re-using teaching ideas https://goo.gl/gHdsp9 and managing a culture change https://goo.gl/j7q17q. One of the aims of the course is to provide an entry point to using learning technology effectively regardless of what participants already know or feel confident about. While that is a big ask it also highlights the fact that there is a big disparity in the relevant competencies across the sector. At one end there are enthusiastic individuals or institutions whose learners are benefiting from technology-enhanced innovation and at the other end of the spectrum are those who don’t know where to start. Learners may or may not have access to devices and networks, but once they do, they need to gain skills that will be useful for them in what they do next and teachers need to be able to support them in that. So one way in which a course like Blended Learning Essentials can become a tool for affecting change is to provide a path to building competencies and confidence for those who deliver learning. It could be incorporated into existing internal provision, to enhance what a provider or group can offer internally – or it can act as a way to start scaling up CPD. Similar to another course I worked on in the past, the Open Course in Technology Enhanced Learning (ocTEL) it can provide flexible chunks of CPD depending on what the participant is most interested in. While learners and those who deliver learning can make use of the course, I think that those in decision making roles also have something to gain. To begin with they can participate themselves, online and at their own pace, to refresh or supplement their own skills and knowledge. Particularly if you don’t get much time to have hands on experience with learning technology, the course can help bridge the gap. The case studies and discussion forums meanwhile can be used as a frame of reference for establishing where a particular organisation is in terms of making intelligent use of learning technology, what common barriers are or how to solve problems. Particularly the second part of the course (the last 3 weeks) are relevant in this context. Given that the course is free to attend and most of its resources openly licenced, it can be an efficient tool for up-skilling and provide paths to accreditation (accreditation is the part of the course that I have worked on most, so I am going to point to further information and in particular its mapping to CMALT for those who are interested). Working on this course has made me reflect on the conversation about open courses, what they can be used for, what they achieve in terms of creating communities, scaling up provision and supporting professional development. This course is a first in more ways than one, it’s the first course on this particular platform for the vocational education sector, to my knowledge it’s the first open course in this context that has attracted over 20k participants and it’s the first time we have seem a large scale response to the policy agenda in UK that is supported by some many organisations. It’s a tool we can make use of to affect change and we can probably use every bit of help we can get in achieving effective use of learning technology across the sectors. 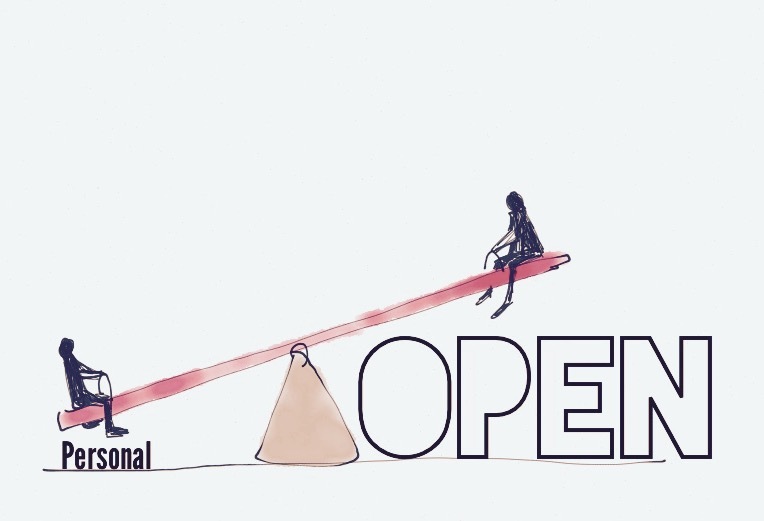 It’s been nearly a year since I wrote my first post on leadership as an open practice, inspired by the 2015 OER conference. So in this post I want to reflect on how my experiment is going, what progress I have made and what’s next. Since then, I took part in the #rhizo15 course/community and the #blimage challenge, I have shared a number of conference presentations and blog posts about CPD, policy and current issues. I have been building and sharing my CMALT portfolio (specialist area: leadership as an open practice) and reflected on different aspects of open practice. This blog has become a really helpful tool for engaging with different aspects of the work I do, share my thoughts and reflect openly. It’s certainly prompted me to do more thinking in the open and has resulted in many conversations and comments that have been helpful and stimulating (thank you!). It’s also motivated me to engage with others’ blogs and outlets, reading and commenting or contributing in turn. Sharing the template for how I built my CMALT portfolio with Google Apps is another example of this approach in action. My original aim was to share, connect and engage more openly and I think that aspect of my open practice has definitely developed. Although it has been hugely rewarding, leadership as an open practice has also been quite challenging. While I have certainly started to find more like-minded professionals in similar roles there have been many more false leads, e.g. blogs that are more marketing than sharing, open-sounding practice that leads to pay-walls and a definite reluctance to connect beyond networking for fear of loosing some sense of being ahead, of having the edge over others in leadership roles. At times when political or economic turmoil threatens funding or jobs open practice seems to become a lot more difficult and far less popular for people in similar roles to mine. It has also been difficult at times to manage different aspects of my practice when my ‘day job’ as a CEO comes into contact with other work I do. When I contribute to a discussion or a twitter chat I try and make it clear whether I am representing the organisation I work for or whether I am participating in a less formal capacity, but it’s not always easy to make these distinctions. On the other hand there are real advantages to having the chance to get involved with research or practice in a more hands on way and it helps me be better at the work I do as a CEO. With managing different identities also comes being a woman and a leader in Learning Technology and this is probably where my experiment has delivered the most rewarding examples and connections. Through a wealth of media I have become more familiar with the work other women do to drive forward technology in learning and teaching, from writers and IT Directors to CEOs and teachers both younger or more experienced than me. While in my experiences day to day there is still a long way to go to achieve equality for women decision makers in government, industry or funding bodies my growing network makes me feel hopeful. What’s next? On a practical front, more #rhizo16 this year, some opportunities to speak at events or contribute to other projects, making more of an effort to communicate and connect with others… and hopefully to become better at leadership as an open practice. Over the past year I have had many comments/conversations prompted by blog posts or tweets and it’s been extremely helpful. So if you have any comments or feedback on my approach to leadership as an open practice or your own experience, share it below or tweet me @marendeepwell. As part of finishing my #CMALT portfolio I have been working on completing a section on communication. The example I am using is leading a small team in delivering an online conference, in this case ALT’s first wholly online winter conference in December last year. using group communication as a way to manage and problem solve. I’ve been working in my #CMALT portfolio. Given that I haven’t yet submitted it for assessment (it’s not quite finished) you might rightly think that a blog post about sharing it is a little premature. Of course you are right – and I won’t actually share it until it has been assessed and (hopefully!) passed sometime in the future. But my intention to share it openly has definitely shaped how I have approached things and to me it’s interesting to reflect on the why and how of that process. The main reason why I want to share my portfolio is that reading others’ portfolios has been a really valuable part of making my own. I have found it interesting to see how others have build theirs, from the technology used to reflections shared. At times, I have been humbled by what others have achieved (often single-handed) and often I have felt empathy with individuals whom I don’t know, but who were struggling with the same things I have. In what is largely solitary undertaking the portfolios of others have provided inspiration and motivation. But sharing what is essentially a personal artifact incorporating examples of work and reflection has not been entirely straight forward. My chosen format, Google docs, makes sharing easy. I can even set up a shared folder for additional evidence and control who has access. Licencing, too, I have considered. 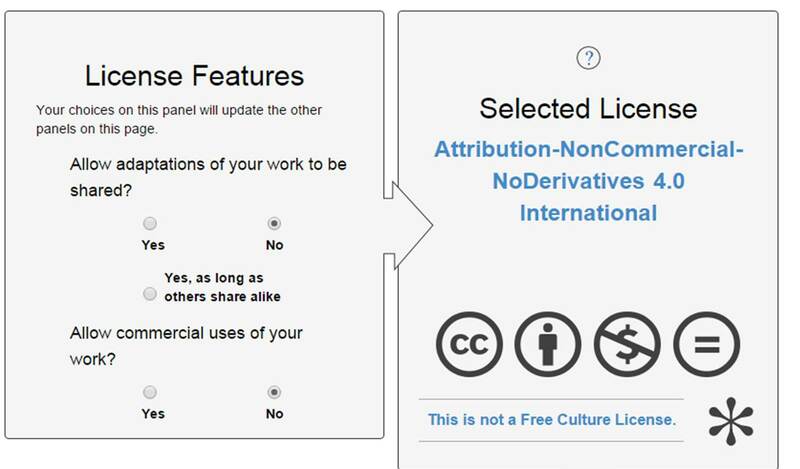 The most restrictive Creative Commons licence seems like it might work for this purpose. Some of the examples/evidence in the portfolio is already licensed under Creative Commons so that aligns well. I should be able to produce backups, copies for updating and different formats of the portfolio quite easily and that is an important consideration for me – I wanted to make it as easy as possible for me to actually do work on it initially and subsequently keep it updated. 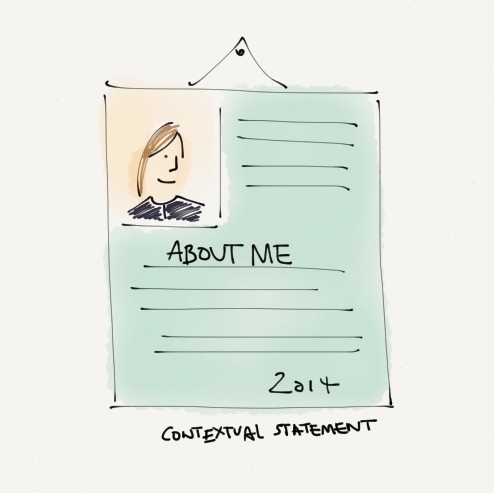 But what about the actual content, what I describe and reflect on – in particular working with other people? What about reflecting on failures? In most instances I have opted for not mentioning individuals by name, using role titles or generic terms instead. This is particularly important I feel when talking about colleagues in the team I lead. While it hasn’t always been easy, the consideration that what I am writing could potentially be read by anyone has contributed to making my work more balanced. But there has also been tension between accurately describing what I do and respecting the privacy of those I work with. Now that the portfolio is nearly finished I have shared with my staff team for feedback. This way everyone who is referred to has the opportunity to read what I have written and comment on it. A further consideration has been including things that don’t work, things that have gone wrong. Given that this is a portfolio meant to demonstrate professional experience and skills, you are more likely to include examples of things that have worked. But for me there is value in reflecting on things that could have gone better, what I could have done differently. Including that in a publicly-shared document however deserves consideration. From the outset, the intention of sharing my portfolio has shaped how I have approached my portfolio. It’s been particularly valuable as it has encouraged me to reflect on the guiding principles of the #CMALT framework in my work – one of which is empathy with and willingness to learn from others. In that spirit, I hope that my portfolio can one day be useful to others in similar ways. First, drawing is something that’s been a key part of my practice, of the way I think, long before I started working in Learning Technology and I still find it an invaluable part of my work today. Whether it’s designing open badges or trying to figure out a complex network of use-cases, I often find drawing things down helps with problem solving and communication. Second, drawings are a good way for me to express different parts of my vision, my personality. I like using them as part of my approach because they can be more eloquent than words and allow me to contribute something more. When I contributed #rhizo15 earlier this year, I found that drawings were a great tool for participating either together with text posts or as stand alone posts. There is something about using colour and images that really connects wit the way I think about things. 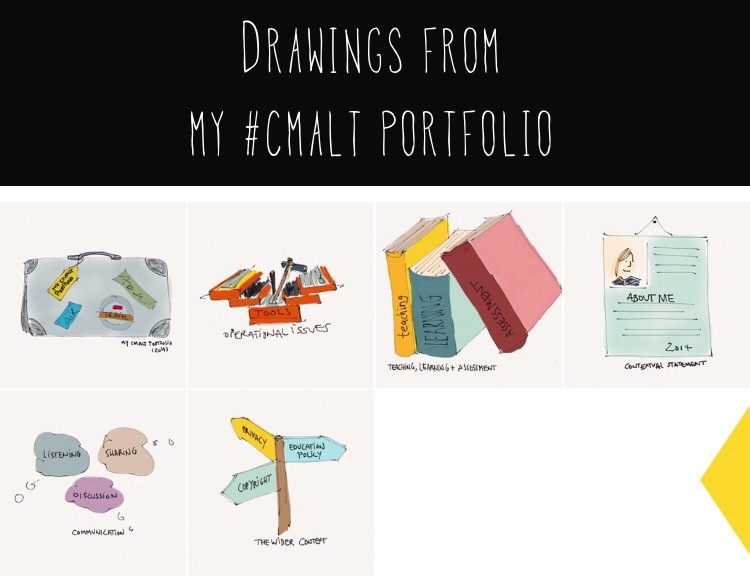 In the case of my #cmalt portfolio, adding drawings helped to make it feel more like me, help me focus on what I wanted to communicate about my work. Finally, and importantly in this context, drawing takes time and focus. For me it is an excellent way to reflect and reflecting on your practice is a key part of the #cmalt framework. I often started a section with a drawing and by the time it was finished, I would be ready to start writing, having laid out the ideas in my head. The reflection is probably the most rewarding part of the process for me. It’s not really about the drawing in itself, more about the process as a way of giving myself time and space to really think about things, figure out how I feel about something and sometimes, it ends up surprising me with unexpected ideas. That’s the best part for me. This post a been prompted by my ongoing work to complete my CMALT portfolio. CMALT is a peer-assessed accreditation scheme for Learning Technology and requires a portfolio to be submitted. I’ve been working on my portfolio for months and I haven’t finished it. Given that I have everything I need to complete it and that I am finding the process rewarding, I have been reflecting on why I am not getting closer. The answer, I think, is that I enjoy having a personal project that I am not sharing – that is mine to play with as I choose. Somewhere I can reflect on my work and record it. But also a product of my efforts that is still in my personal domain, rather than published or shared as much I my output is. That is simply the nature of my work – I rarely create anything that isn’t either for an internal or external audience. My CMALT portfolio feels like a personal project for which I have created content from drawings to screenshots to descriptions of and reflections on my progress, and that is enjoyable. Like many others I hope to add it to the growing pool of portfolios being shared as examples of practice once it passes its assessment – but for now I like that it is a personal space. Many of the other candidates I have spoken to over the years comment on how they find the process of reflection the most rewarding aspect of compiling their portfolio. In my role reflection is a key part of what I do and I am fortunate to have a number of ways to support it including a private blog, support from my mentor and discussion with colleagues. So while I agree with its central importance having a space to reflect is not something I feel I lack on a day to day basis. For me, it’s the process of just creating something that feels most rewarding at the moment. Creating something in a personal work and head space gives me the chance to iterate, to change or add things over a period of months rather than having to have a finished product first time. 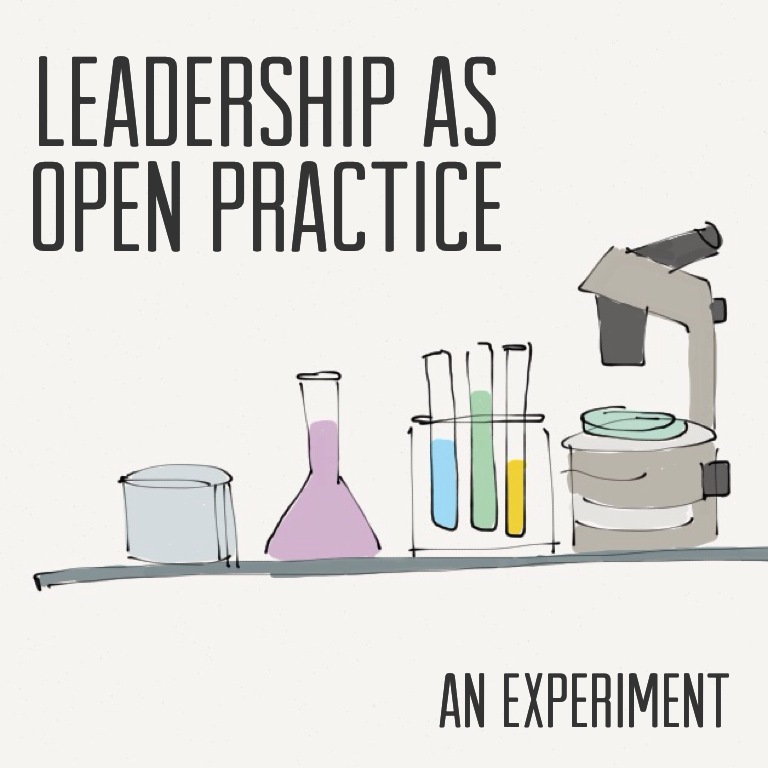 I have written before on leadership as an open practice and how I have been looking or examples of open practice in those kinds of roles. While open practice may be rare, personal space to experiment, to work at your own pace, seems to me a rarity also. I am curious about how the relationship between open practice and personal space to experiment, create and reflect will develop for me and how I can translate that into finally completing my portfolio.